Adding the globally accepted DiSC certification to your list of achievements, helps you transcend geographies in training. DiSC is a behavioural assessment tool which has been used by over 42 million people worldwide and is available in over 30 languages. A globally accepted and scientifically validated tool like DiSC builds the credibility for a soft skill trainer, helping them take their training programs across geographical borders. An instant resume booster , a reliable certification like DiSC increases your reach as a lot of businesses worldwide prefer to assess their employees using DiSC. A DiSC certification also increases revenue prospects for trainers since it provides complete rights to administer a wide spectrum of behavioural assessment focussing on leadership development, managerial effectiveness, sales, workplace relationships, communications, team building and much more. Develop and deliver facilitation programs that is personalised to the learner’s learning style through an increased understanding of the nuances of Human behaviour. The DiSC certification program starts off with a session on the neuroscience of behaviour with the objective of developing an in-depth understanding of human behaviour and how it influences the way an individual learns. Armed with this knowledge a trainer can design and develop programs which are personalised to their learners learning style. Insights into how thoughts and feelings are linked to human behaviour aids can be used as points of reference for design of both DiSC and non – DiSC based facilitation programs. Adding to this DiSC profiles is backed by more than four decades of insightful research into the field of neuroscience and human behaviour which is incorporated into all DiSC tools. This ensures that every trainee is objectively studied for their behavioural styles making individualization of learning a reality. Trainers today face innumerable challenges in designing training programs , since most organisations demand assessment based facilitation programs for developing their human resources. 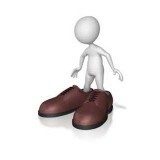 Adding to that is the burden of creating custom generated reports for each facilitation. DiSC, through the Electronic Profile Information Control system or EPIC system provides facilitators a solution. EPIC empowers trainers by giving them privilege to generate assessment reports through a “do – it yourself “. Working on a credit system , the EPIC credits can be used for better control and flexibility of profiles of clients. Individual reports that are generated can be used to generated customised comparison reports for groups and individuals.Facilitator reports aid facilitators to explain and interpret reports. All reports generated from the EPIC system can be segregated departments or individual wise and reports can be printed on request. The documents generated from the EPIC system are totally customisable and can be branded with a businesses or individuals logo or name. 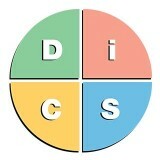 DiSC certification offers complimentary access to a Strengthscape’s trainer and facilitators social media platform giving you a great opportunity to build your base of contacts.The quizzes and trivia that appear on social media work as boosters update you on your DiSC learning continuously and keeps you engaged. Gain access to a trainer’s login which gives you unlimited access to learning resources. 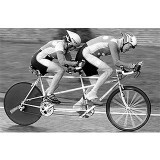 Updated learning is the most important ingredient in a trainers recipe for success. 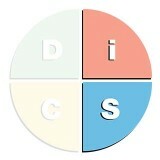 Strengthscape DiSC certification gives you a trainer login which provides you unlimited access to learning resources like presentations, articles , session plan formats, games and activities which can improve the DiSc facilitation experience manifold. This is not all. Getting an In-person DiSC certification , also gives you complimentary access to virtual DiSc certification courses , which works as the refresher for DiSC learning that you have gained as part of the DiSC face to face training program. Also coming soon is the DiSC e- learning platform which will ensure that you need not look elsewhere for any facilitation support you need. This is a one – stop shop for all your DiSC needs – certification,assessments, products, information , facilitation support, games and activities, trainer network, updated e- learning information, online visibility. You name it and we have it here.